Our Future Health and Happiness is dependant on our resilience. Another term for resilience is a word coined from Football Ian Dowie, football manager of Crystal Palace football team, he used the word “bouncebackability”. This in turn was promoted by Soccer AM to become a word. Ian was describing the ability of his players to bounce back from bad games and mistakes. This is no different to our process of reflection and decision making. Bouncebackability sounds more “fun” than resilience but actually they are the same in action. To me resilience conjures up a smiley ball that although it gets some hard kicks keeps going. How? How can it keep going? It can because it has support. What is support – crutches? A truss? No not physical support, psychological support in the form of mindfulness. For professionals it is imperative to look after yourself in fact for everyone it is important to look after yourself. In order to remain professional – professionals MUST look after themselves. Not to is disrespecting those you are employed to care for. Only by being at the top of your game can you provide energy to support and assist those dependant on you for support and advice. Supervision and reflection are vital to wellbeing and maintaining your resilience. Supervision allows time to reflect and breathe deeply and importantly not to only problem solve but to reflect on what you do well. At the end of the day every NHS worker needs to reflect on at least one positive aspect of the shift/day just finished. Maybe someone said thank you to you. How lovely. It does not have to be a life changing event although thank you is a wonderful reward and many of them can be life changing because you start to believe in yourself. You add to your knowledge from what you experience and employ your wisdom. Knowledge, is knowing that a tomato is a fruit. Wisdom is not putting it in your fruit salad. Wisdom is sometimes not voicing your knowledge but simply being there for someone. Allow time to be. Is dependent on our ability to evolve into kindness. At this time in our evolution we more easily and naturally default into fear than into love – we jump back into our reptilian threat state more than we jump forward into our human loving state. So, it is difficult for us humans to be human – when we behave badly it helps if we forgive ourselves – this doesn’t mean we have to condone the kinds of dreadful and harmful things we are capable of doing to each other but it does help to step back and to understand – without this stepping back the cycles of hurt and violence will continue. 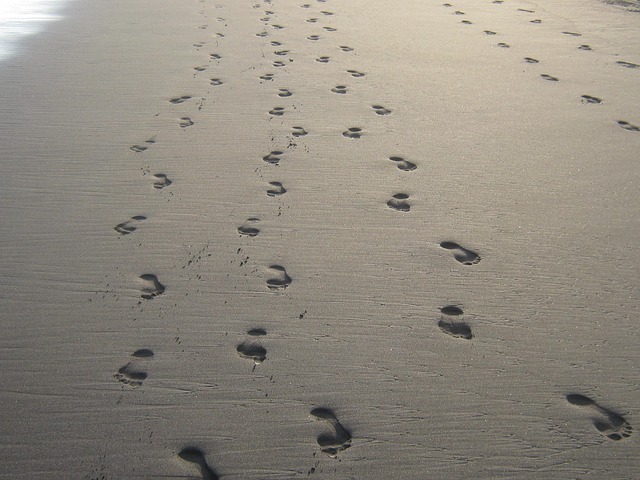 The good news is that we are wired to co-operate and to be kind – some wonderful breakthroughs in our understanding of what happens when we are empathising with each other – and when we are moved to act to care for each other are showing that it is natural for us to be kind – to alleviate each other’s suffering – natural when we are conscious – when we are cultivating the conditions to live more peacefully, with gratitude and humility – when we are seeking the wealth to be found in caring relationships as opposed to the grasping, clinging and comparing that is inevitable when we are driven by the forces of competition and greed. We all contain within us good seeds and bad seeds – we are all capable of being unkind and wicked towards each other – and we are all capable of growing our capacity for goodness. So we must decide what to focus on and grow our personal and collective goodness – our capacity for care. A good place to focus our energies is in pre-schools and primary schools as children who are pointed in the direction of kindness and co-operation will embody a brighter, healthier and happier future. Children who are aware of their bodies, who are grateful to be alive, who can calm their minds, who naturally look out for each other and celebrate each other’s differences. Children who have space to be who they are meant to be – who are the authors of their own lives. A primary school teacher I know has recently returned to the classroom (year 1 so the children are 5) after a 10 year break – the pressure on the children and the teachers has grown significantly at this time – it is difficult to find space in the school day to relax, connect and create –the mind-set of the teacher is dominated by APP – assessing pupil progress – this is a violence against our children and our way of life as these little humans need space to play, to create, to flourish. As an antidote to the pressure the teacher has introduced a chain of kindness – the children are encouraged to ‘catch each other doing something kind’ and to share these moments with the teacher and each other; when a kind moment is witnessed, the class takes a pause whilst the story is written and then added to the chain which is beginning to snake around the classroom. The chain has become heavy in the doorway and the children have to duck as they enter the class – sometimes the tops of their heads brush against the paper chain – the teacher smiles when she notices this as she realises they are being touched by kindness. Imagine if every year one classroom adopted this simple practice. If every school cultivated a consciousness of kindness. If every care home and hospital and GP surgery, every prison, every business was moving in the direction of kindness – creating the conditions in which people feel like they matter, that their unique contribution is valued, that they can be forgiven for what they have done that has hurt others. My sincere belief is that we can write a new chapter in our shared story of care – where we recognise what a blessing is it to be alive, living this precious life and we learn to care for ourselves and each other. I said something like this a few years back during a radio interview – I was talking about the need for a shift from separation to togetherness and a friend and I were hosting monthly togetherness walks at the time – walks where we would invite local people most at risk of not receiving any invites– the interviewer said that she understood, that she ‘got it’….and then she said it’s all a bit utopian though isn’t it? Help me find another position – who should we leave out? Of a vision in which we all feel like we matter. I asked Martin in the pet shop this morning about his connection to dementia – we are developing some ideas for a community experiment called dementia space. At first he looked blank then he started to talk about his connection to music and how that has led him to be a DJ at saga gatherings in Worthing where the youngest dancer is 70 and it rises steeply from there – he lit up as he remembered Lucy who requested a Frank Ifield track – and Lucy abandoning her zimmer frame as the music of her youth began to play. And then Martin told me that his dad was in hospital. And then he told me he had been the DJ at a retirement party for nurse – who had been in the profession for 40 years – he started to laugh about the cake – it was brown as the nurses friends had made a cake to look like poo – with different kinds of poo the nurse was used to seeing which would help her to understand what was happening inside the bodies of the people she was caring for. And now I am thinking about Casper – he is 4 – I asked him the other night to tell me a story about his lego model he had just made – it was the fastest model in the universe –he had put a little piece of grape skin into the fuel area – he told me that it was a piece of poo and that the model would explode into tiny pieces of poo. We both fell about laughing. We are all just passing through; we may as well enjoy the ride! You can’t separate the need for compassion in health and care systems from changes in power in those systems. The need for compassion in health care is one of the main reasons why it’s time for a people-powered NHS. The NHS’s challenges are as big as they come: demographic changes; £100bn plus budgets which will not balance; a million plus workforce under increasing strain. But NHS England’s (NHSE) first flagship programme under its new CEO has been for care organised at the smallest and most personal level: Integrated Personal Commissioning (IPC) which will build upon the long-established personal budget programme in social care and newer rights to Personal Health Budgets for people with long-term conditions. There are already nods towards ‘personalised’ approaches in every area of healthcare, which is now expected to be more ‘patient-centred’, more collaborative (see http://coalitionforcollaborativecare.org.uk/) and involve more participation and choice. A run through these buzzwords could suggest an unrealistic offer of new rights and choices which will further raise expectations at a time when austerity threatens the promise of universal, free healthcare. But IPC needs to be not just a promise of new rights, but a suggestion of new ways in which responsibilities can be shared, so that people with long-term support needs and their families can collaborate with professionals to achieve health and wellbeing. This is also the vision which underlies social care’s personalisation reforms (despite a persistent view that they mainly describe a programme of personal budgets). Personalisation is at heart a move towards an ‘asset-based’ or ‘capability-based’ ethos, which is hard to capture in a central policy initiative but is perhaps the most important change we can make in public services. Through looking for the whole person, and recognising what people can do, professionals build their empathy with people with long term support needs and their compassion. Decision-makers who genuinely recognise the expertise and capabilities of individuals will find it hard to ignore the prerogative to share their decision making power with those people. A capabilities approach also looks for the huge contribution which families and in some cases communities do and could make, bringing the value of their compassion and ability to care into the foreground as being of equal or greater value than formal services. This builds a strong case for transferring resources from hospitals and other power bases to communities and families. This will not always mean closing services to transfer resources elsewhere (and it is unfortunate that ‘personalisation’ and ‘transformation’ have proved such convenient euphemisms for ‘cuts’ to which they are unrelated), but it should mean that every health and care intervention is arranged to support individuals, families and communities to develop and sustain their capabilities. This is the approach taken by Shared Lives schemes. 8,000 approved Shared Lives carers across the UK provide regulated personal care for 12,000 people with learning disabilities, mental health problems and other support needs. They do so through sharing their own homes and family and community life with the individual who needs support following a ‘matching’ process which aims to set up supportive relationships which can be lifelong. This family-based approach is used for stroke rehabilitation, dementia day care and even an acute mental health service. People involved talk about people being ‘just one of the family’, rather than their ‘client’ or ‘customer’. They talk about the contribution that people with support needs make to their family life and the upbringing of their children, not just about the help they need. Leave people better informed and more confident that they understand their condition, the intervention, their choices and where to turn for further help. Recognise and measure their negative impacts on informal support networks and the individual’s resilience, for instance through care being offered at inconvenient times, in institutional locations, or in ways which stigmatise or reduce someone’s confidence. Wellbeing is not something we can have a right to, nor consume. It is something we can try to achieve, in collaboration with healthcare professionals and those around us. The promise and challenge of IPC is not to create new rights, nor new forms of competition, but real and meaningful ways to share that responsibility, and the empathy and compassion which goes alongside this. This must be a two-way process in which commissioners share their control of jealously-guarded budgets, but in return are able to work with the whole resource of their communities. This could for the first time allow them to be part of addressing societal health challenges like the epidemic of loneliness in old age or persistent health inequalities in communities labelled ‘hard to engage’. Millions of family carers and thousands of social entrepreneurs make remarkable contributions despite ‘the system’. What could a genuinely people-powered NHS achieve? This is an edited version of an article which first appeared in Health Service Journal. Alex Fox FRSA is CEO of Shared Lives Plus (www.SharedLivesPlus.org.uk) and a member of the Think Local, Act Personal partnership: www.thinklocalactpersonal.org.uk. People Powered NHS: a Power to Create discussion paper is published by RSA here: http://www.thersa.org/action-research-centre/community-and-public-services/2020-public-services/reports/people-powered-nhs. How will the next chapter in our story of care be written? Julian Burton (Delta 7) and Caroline Pakel (To the Heart) hosted and cooked together for our story of care supper last week. Sue Cressey – practice educator and nurse at Royal Marsden who hosted the compassionate community events. All of these people understand the difference between a hero leader and a host leader – and they all know that the answers to questions about our future health and well being lie within us. As a result of these wonderful events we are thinking differently about where and how change happens. …and maybe the next time someone mentions the possibility of an expensive ambitious well intentioned expert led conference, take a breath and ask yourselves if sharing a caring meal, or throwing a purposeful party, or just putting the kettle on and listening to each other might make more difference. When we are given the gift of caring time and space, and when we feel like we matter – we know how to be and we know what to do. I sometimes feel I live between worlds. There is a the clinical world I inhabit; being physically present on the “shop-floor’ of a busy Children’s Emergency Department or as part of a clinical leadership team improving the quality of care we provide. I try to be constantly aware of the effect my emotions and biases have on other staff, parents and especially the children and young people I meet. Simply put: it’s not easy. Thank you for being present in the childrens emergency department, I am deeply grateful for your skillful care and attention in the lives of children and their families, this is precious work which is part of what defines us as a society. One of my favorite insights from the wisdom of yoda is ‘there is no try’. Being constantly aware of effect of emotions on others sounds unattainable. I wonder if cultivating a more gentle forgiving self awareness might feel more within reach – we have little control over the emotional and behavioral realities which others inhabit – but we can be intentional in ‘getting our own house in order’. 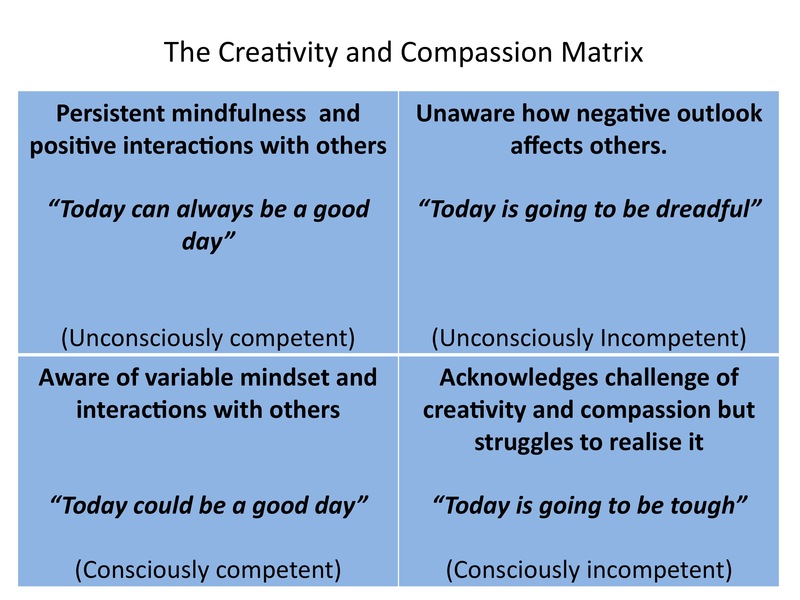 The research from the Westminster Centre for Resilience feels relevant here as it is informed by the latest neuro science on managing our state…..so what helps us to keep showing up moment by moment in a state of compassion? We now teach these three elements now on all of our programmes and people report back that they feel (and are) ‘more centered and available’. While#hellomynameis is a reflex, other aspects of compassionate care sometimes aren’t. It’s not simple to challenge others behaviours when you have witnessed a professional interaction that is not acceptable. Maintaining persistent empathetic engagement with families can be one of the most draining aspects of my job. Do I sometimes resent it. Yes, I’ll be honest I do. I don’t think that makes my unprofessional, callous or dispassionate. I hope it makes me aware of when I do need to take a break, re-group and re-energise. The other world is the network of individuals and groups I belong to who are championing change, within and outside of the health service. Generally via social media, but also through conferences, projects and campaigns. There is a steady flow of what some might call ‘positive energy’ but others see as mis-informed and ill-placed conjecture and eulogising. My efforts with #nhschangeday are on the public record. As it reaches its 3rd year I am proud to have been part of a movement which I do feel has engaged people in understanding how and why change can occur in any health or social care setting. The networks I have developed from this and other initiatives are supportive, inspiring and positive. I have developed insights and skills which clearly have benefited me and hopefully the patients I treat. Is there a shared understanding of what a ‘professional interaction’ with a patient looks, sounds and feels like? Are there safe structures in place for growing a sense of team work and shared meaning and purpose? Are the leadership and management roles sufficiently clear and helpful to all involved in patient care? Can people openly disagree with each other – and maintain respect for differences? Is NHS Change Day successful in striking the difficult balance between inspiring and enabling? In my experience there are fundamental structural aspects to operating within the medical model at a time of rapid social change which require deeper contemplation – without time to think through our place in the world, too many people are becoming stressed and burnt out or addicted to the feel good moments which pop up on our portable devices – neither position is healthy or balanced and it is a real challenge to find what is whole and helpful. My sense is that we need to evolve into conscious kindness for ourselves and each other – and that awareness will help to enable us to make wiser judgments on how we direct our energy and use our time. My thought on the matrix is that it is profoundly valuable because it demonstrates reflection, wisdom and deep intention to be consistently compassionate – thank you. Perhaps we will evolve into…. Damian – we do live in one world….you are making such a brave and consistent contribution to help us all to realise that. It’s probably the first question I ask myself, every morning. And I’m glad to say that after a couple of years of practice, it’s more like a checking-in with myself: checking that the emerging plan for the day includes time for me. Time to rest, learn, enjoy and grow. And I don’t take those times for granted, nor do I allow others or “things” to take over them. My times are sacred. Without them, I eventually get sad, frustrated, impatient, grumpy, disillusioned… You get the picture, and yeah, I’ll admit, it’s not a pretty one. Luckily, that picture has become quite a rare occurrence these days. And actually, there is little luck involved in that fact: all it takes is for me to keep disciplined about putting myself first. That’s because I matter. Yeah, I – and you – matter. Nothing else or anyone else does, before me – or you. I even had to matter before my child, when he was born, and at first, I didn’t do very well with that either. The truth is that it is hard to honour the fact that I, you, we individually, matter first, before anything else or anyone else. Most of us have not had that idyllic childhood where that belief was nurtured and grown in us. Saying “I matter” is a little bit like stepping onto a wobbly stone across that bubbly river. And like standing on any wobbly stone, it feels both exciting and well, pretty challenging. It takes us outside our comfort zone. Yeah, it’s always more comfortable – to start with – to focus our attention on stuff outside ourselves than on what is happening within. Often, it’s plain scary to even dare lifting the veils we like to create in and around who we are, how we truly feel and what we really, really want – or need. If you don’t take care of yourself, how on earth can you honestly think, believe or wish to care for anyone else or anything else? Well, you try, and in my experience, you’ll fail to deliver the utmost care others deserve from you, because you are not giving it to yourself first. And some people, actually many of us, OK, maybe even, most of us, just can’t get to that initial and essential stage… It’s just easier to escape in others’ stuff, worthy causes, egoic ambitions or any kind of obsession or addiction we can give in to. It’s hard to really – I mean REALLY – care for ourselves. First. And self-care is becoming quite an emergent theme around me at the moment. This week alone, I suddenly realised that someone very dear to me was slowly returning to being someone very pleasant and enjoyable to talk to since she had been granted the opportunity to re-learn to sleep – enough, and deeply. Then, there is also this geographically distant friend who kept talking about the stuff he had to do – for other people – when he couldn’t actually stand on his own knee properly – I saw him wincing on the SKYPE screen, as he was moving his leg under his desk. And yeah, well, professionally, it’s a never ending story, sadly. People talk of being ashamed or of feeling guilty when they dare considering putting themselves first. One of the lovely people I am currently coaching just looked at me puzzled when I asked her this week what she was going to do for herself after she finished listing all the activities and commitments she had lined up, all for “others”. There is nothing narcissistic about putting oneself first. It’s only “right”, if you want to bring the best of who you are to whatever your life is calling you to do. It’s a basic requirement our Western society and the pressures of our “modern” life have had us forget and neglect. And it’s one to restore and remember, every day. So, come one, how will YOU care for yourself today? At school in the 1980s I signed up for community service working at a neighbouring hospital school with children with intellectual disabilities. On one occasion I saw a teacher there push a 14 year old boy into a store room and kick and hit him, explaining that it was the ‘only language he understands’. This brutality shocked me, all the more because this teacher was someone who I had seen at other times being caring and effective. Much more recently, I heard a long-term user of mental health services describe their life having been utterly changed by a radical model of mental health practice, where people with personal experience of mental health challenges join forces with clinically trained staff to deliver mental health courses for students in the Sussex Recovery College. I have never before seen such high levels of public and staff engagement and commitment as in this project, which is driven by solidarity and a desire for collective benefit across all members of a community of care. I believe that if we are to take care of our future health and happiness each of us will need to play our part, and that one essential ingredient will be for each of us to turn towards care giving relationships and away from acting with brutality. Both sets of behaviours are part of our evolutionary heritage, with brutality often born in response to fear for our immediate survival and care giving born of our mammalian need for bonding and closeness. Capitalist economic ideology has emphasised competition and ‘dog-eat-dog’ elements of our fundamental nature, suggesting that these elements have driven evolutionary advantage and will therefore drive economic advantage, and by implication a health and happiness advantage. What this overlooks is that another aspect of our nature, the need for closeness and bonding, is fundamentally undermined by a competitive emphasis in our relationships. Without effective bonding with care givers infant mammals fail to thrive, become asocial and destructive. We see similar effects amongst adults where connection with others is weak or depersonalised. I have worked in the National Health Service and its partner institutions for 25 years. I have seen great, caring practice, some change that has led to dramatic improvements, and surprisingly little brutality. However, I believe right now we face a challenge like never before in operating at our best. Financial pressures, coupled with the active promotion of competition are creating an environment in which the humans operating the health and care system are, I believe, more afraid than we have ever been. Afraid that we will no longer be wanted, that we cannot achieve what is being asked, and that we cannot cope with the demands and pressures with the resources we have. Essentially, we are afraid for our own health and happiness. This is a highly challenging state in which to offer effective care to others. If we are to safeguard our ability to care effectively, we will need to join with one another, to form communities in which we work together for collective health and wellbeing. Services will need to join with one another and with patients, staff at all levels will need to join with one another, and we will need to recognise the impossibility of one component of this community (the services) creating a one-way transaction that gives health and happiness to another component (the patients). This impossibility is true in both physical and mental health care. A hospital can fix a heart problem but only a community can develop a culture of healthy lifestyle that reduces heart disease. A mental health service can offer sanctuary and therapy at times of crisis or stuckness but only a community can develop a culture of support, renewal and growth. We are all part of community and we all have the possibility of action today to create and nurture bonds and connections in which both we and others can thrive. It will require great courage to overcome the fear that drives disintegration and the urge to destroy our competitors, and determination to prioritise nurturing relationships that can support our own health and wellbeing as part of communities of care. I believe this courage and determination to care is part of our very nature as humans if we reach within ourselves to find it.